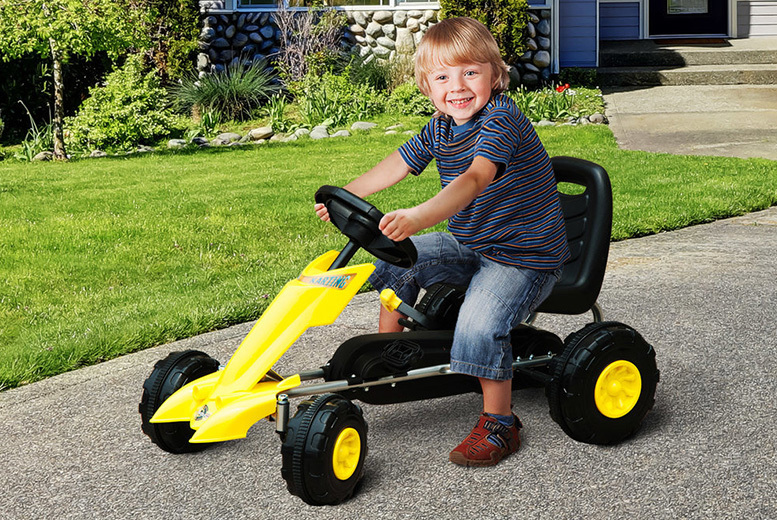 Get your kids an amazing go kart! Made with quality plastic and steel. Padded seat for a comfortable fit.